For those of us working in biopolitics--the study of the biological roots of political life--the most exciting area of biology right now is neuroscience. Understanding how the brain enables the mental activity and social behavior of human beings promises to provide a scientific basis for political science and the social sciences generally. But when I try to introduce neuroscience into my biopolitics courses at Northern Illinois University, it is often hard to find good readings that provide an elementary introduction to the science in a way that engages the students, even those with little expertise in biology. I have had a similar problem in finding appropriate readings for a proposed Liberty Fund conference on "The Neuroscience of Law and Morality" that will appeal to conferees from a wide range of intellectual backgrounds. Recently, I have found a few new books that might satisfy my needs. One of them is Adam Zeman's A Portrait of the Brain (Yale University Press, 2008). Zeman is a clinical neurologist and professor of neurology at the Peninsula Medical School in Great Britain. Like Oliver Sacks, he teaches us about the brain by telling stories about his patients suffering from neurological disorders. And thus he engages the reader through vivid stories just as does Sacks. But Zeman's book is also clearly structured to move from the simplest elements of the brain to its most complex mysteries. Its ten chapters correspond to ten levels of organization in the brain: atom, gene, protein, organelle, neuron, synapse, neural network, lobe, psyche, and soul. Although Zeman does not mention Julien de La Mettrie, I see Zeman's book as a modern restatement of La Mettrie's claim in Man a Machine (1747) that "all the faculties of the soul depend so much on the proper organization of the brain and of the entire body, since these faculties are obviously just this organized brain itself." La Mettrie and those in his intellectual tradition have been criticized as crudely reductionistic materialists who deny the existence of the mind or soul as anything other than organized matter. Zeman is likely to face the same criticism, especially when he concludes: "I am firmly convinced that the comforting and tenacious idea that we possess an invisible, immaterial, imperishable soul is no more than a wonderful fiction" (187). In my chapter on "Emergence" in Darwinian Conservatism, I argue for the "emergent evolution of the soul in the brain," and I defend the idea of emergence as an alternative to both reductionism and dualism. The simplest expression of the idea of emergence is that the whole can be greater than the sum of its parts. Emergent phenomena are those complex wholes with properties that we could not explain or predict from our knowledge of the parts. For example, when hydrogen and oxygen combine chemically to form water, we see emergent properties in water that we could not have predicted from the properties of hydrogen and oxygen. This emergence of novelty is manifested throughout the evolution of the universe. As we pass through levels of complexity, we find new properties at higher levels that are not fully reducible to the lower levels. This idea of emergence denies strong reductionism, because it denies that the higher levels of organization can be completely reduced to the lower levels. But the idea of emergence also denies dualism, because it denies any radical separation of matter and mind. Although Zeman does not make the idea fully explicit in his book, he implicitly embraces emergence when he says that the "brain is more than the sum of its parts," and when he speaks of how "the mind emerges from matter" (5, 183, 188, 193). He also appeals to the idea of emergence when he says that we are more than our brains, because the activity of the brain is "always 'embodied, embedded, and extended'--the activity of an embodied creature, embedded in a culture, engaging in an interaction with surroundings and other people which extends over space and time" (196). Here Zeman moves into the realm of biopolitics: since human beings are by nature social and political animals, their brains are shaped by a complex social interactions of their individual life histories in particular social groups. This idea is now being developed in the field of "social neuroscience," which includes "neuroeconomics." As I understand it, biopolitics should eventually encompass all of these areas of study as part of a comprehensive natural history of human beings as political animals. The emergent complexity of the human soul cannot be understood through a strongly reductionist approach. Rather, what is required is what Zeman calls a "biopsychosocial" approach that sees that human beings live through the interaction of three dimensions--as bodies, minds, and social animals (175-76). This is manifest in cases of "hysteria," where some distress in the psychic life of a patient has created physical disorders that have no clear neurological causes. Such psychosomatic illnesses show that the mind can act on the brain. This interaction of mind and brain is also shown by the human ability to use mental force to direct a disordered brain into more healthy functioning. In my chapter on emergence, I use the example of how Dr. Jeffrey Schwartz teaches his patients with obsessive compulsive disorder to used "directed mental force" to overcome or at least mitigate their disorder. This emergent power of the brain for mental attention is the natural ground for human freedom. Of course, this emergent conception of the soul leaves us with some mysteries. One of those mysteries is the introspective subjectivity of consciousness that cannot be directly studied by empirical observation. For example, if I were suffering from OCD, I might go to Dr. Schwartz, and he might persuade me to adopt his techniques. I might decide to concentrate my mind and will in ways that would alter the neural circuitry of my brain so as to manage my OCD behavior. Dr. Schwartz might employ brain imaging technology to show that my brain circuitry really had changed. But this imaging would show only the effects of my conscious mental decision. It would not show my actual conscious experience. I would know this by my own introspective activity, and I might testify to it by telling Dr. Schwartz about my mental decision. But my conscious activity would not be directly observable to Dr. Schwartz or any other observer. Zeman acknowledges this problem (190-93), and yet he quickly dismisses it. This contrast between our inward personal experience and the outward world of observational science underlies what Zeman says about art and science as complementary approaches to human mental experience (196-98). Art evokes the living presence of personal experience. A novel, for example, can give us the imaginative simulation of the inward conscious life of its unique characters. But science provides an abstract likeness to experience. Thus, neuroscience might explain brain activity associated with someone's conscious experience, but the neuroscience by itself would not capture the specificity of that person's consciousness. That's why any attempt to bring together the "two cultures"--the humanistic disciplines and the natural sciences--will have to recognize that each approach has something distinctive to contribute to our understanding of human life. In fact, Zeman's book itself combines art and science by combining the impersonal abstractness of science with the personal specificity of his clinical stories. There is much to think about here. But the one key point for me is that we need not fear a Darwinian science of human life as promoting a reductionist materialism that denies the freedom of the human soul. A Darwinian science can explain the unique freedom of human beings for deliberate thought and action as arising from the emergent evolution of the soul. On this blog, I have often written about what seems to me to be the fundamental problem with higher education today--the fragmentation and specialization of academic disciplines so that the unity of knowledge through liberal learning has been lost. I have also written about how I see "Darwinian liberal education" as the solution to this problem, because Darwinian biology broadly conceived can be the intellectual link between the natural sciences, the social sciences, and the humanities. I have written about David Sloan Wilson's "evolutionary studies" program at Binghamton University in New York as a good model of how this might work. Today's issue of the New York Times (May 27) has an article by Natalie Angier on the "New Humanities Initiative" at Binghamton, which seems to be an extension of Wilson's "evolutionary studies" pedagogy. Traditionally, the modern university is divided between the natural sciences, the social sciences, and the humanities. Within these broad boundaries, each discipline is further divided into fields of specialization. Both students and scholars are taught to assume that there is no connection between these various areas of research. Of course, administrators and professors often speak about the importance of interdisciplinary research and teaching. But usually this just means collecting various courses scattered across the university and classifying them as "general education." This is a fraudulent exercise because there is no real intellectual conversation across the many diverse fields of academic scholarship. "Darwinian liberal education" would create some common ground of intellectual discussion that would bridge what C. P. Snow famously characterized as the opposition between "two cultures"--"natural scientists" versus "literary intellectuals." Actually, I would say there are at least "three cultures," because the social scientists commonly have little to say to either the "natural scientists" or the "literary intellectuals." Unfortunately, the unification of knowledge through "Darwinian liberal education" suffers from the seduction of reductionism. Darwinian theorists--like E. O. Wilson in his book Consilience--want to unify all knowledge by reducing all knowledge to physics, chemistry, and genetics. But, as I have argued on this blog and in Darwinian Conservatism, the only defensible ground for unifying all knowledge is the biological idea of "emergence"--so that higher levels of organization bring novelties that are consistent with the lower levels but not determined by those lower levels. "Dr. Levine has criticized many recent attempts at so-called Literary Darwinism, the application of evolutionary psychology ideas to the analysis of great novels and plays. What it usually amounts to is reimagining Emma Bovary or Emma Woodhouse as a young, fecund female hunter-gatherer circa 200,000 B.C. "'When you maximize the importance of biological forces and minimize culture, you get something that doesn't tell you a whole lot about the particularities of literature,' Dr. Levine said. 'What you end up with, as far as I am concerned, is banality.'" I agree because such crude reductionism overlooks the complexity of multi-leveled explanations of gene-culture co-evolution that respects the particularities and contingencies of human cultural and individual history. To show what I mean by this, I am now beginning to work on a book that might be entitled Biopolitical Science: Darwin, Lincoln, and the Deep History of Political Life. This book will develop a theoretical framework for a Darwinian political science that would be a science of political animals. Such a science would move through three levels of deep political history--the universal political history of the species, the cultural political history of the group, and the individual political history of animals in the group. To illustrate the particular application of this Darwinian political science, I will show how this science would help us to understand Abraham Lincoln's Emancipation Proclamation of January 1, 1863. We need to understand such events as historically contingent phenomena that cannot be predicted exactly by a science of natural causes. But still we can see how such unique events fit within the natural history of the human species and the cultural history of human politics. I will be laying out some of what I have in mind in a paper for the American Political Science Association convention in Boston at the end of August. This will be part of a series of three panels sponsored by the American Society for Political and Legal Philosophy on "Evolution and Morality." The papers for these panels will be the basis for a volume of the ASPL's annual publication Nomos. About four weeks ago, my wife underwent surgery on her face for melanoma. What initially appeared to be a pimple on her left cheek had been identified as cancerous. The purpose of the surgery was to remove tissue from her cheek and from sentinel lymph nodes to which the cancer might have spread. We were happy when tests showed that there were no cancerous cells in this tissue. But she will have to undergo extensive tests every two months for years to look for any reappearance of the cancer. We were also happy with the surgical work of Dr. Tapas K. Das Gupta, the 76-year-old chairman of surgical oncology at the University of Illinois Medical Center at Chicago. We discovered that Dr. Das Gupta is a master cancer surgeon who was able to do the surgery so that the scars on my wife's face will eventually be hardly noticeable. We were very interested, therefore, when we saw the front page article on Dr. Das Gupta in the Sunday New York Times (May 18). This article by Kevin Sack was entitled "Doctors Start to Say 'I'm Sorry' Long Before 'See You in Court'." The article opens with the story of Dr. Das Gupta making a serious surgical mistake two years ago. He was supposed to remove a sliver of tissue from a woman's ninth rib. But instead he removed the tissue from her eighth rib. When he discovered his mistake, he told the patient what he had done and apologized to her. He told her: "After all these years, I cannot give you any excuse whatsoever. It is just one of those things that occurred. I have to some extent harmed you." This is not standard practice for doctors. Most medical malpractice lawyers would advise doctors and medical administrators never to admit their mistakes. Because it has been long assumed that to avoid expensive malpractice suits, medical personnel should refuse to acknowledge their mistakes. But according to this article, a few hospitals have adopted a new policy of honesty and forgiveness. Patients are told about the medical mistakes that have harmed them, and they receive an apology from the doctors. And contrary to what the malpractice lawyers have assumed for years, there is evidence that this has reduced the number and expense of medical malpractice lawsuits in the hospitals adopting the new policy. In Dr. Das Gupta's case, the patient decided not to sue, and accepted compensation of $74,000 from the hospital. Her lawyer said: "She told me that the doctor was completely candid, completely honest, and so frank that she and her husband--usually the husband wants to pound the guy--that all the anger was gone. His apology helped to get the case settled for a lower amount of money." For many decades, doctors and hospitals have been receiving ethical advice from professional bioethicists. Why has it taken so long to recognize the moral benefits from honesty and forgiveness? They might have seen this sooner if they had followed the tradition of moral philosophy from Aristotle to Adam Smith and Charles Darwin that stresses the importance of moral emotions. Reasoning is important for moral judgment because we need to deliberate about our moral decisions. But some moral philosophers (like Immanuel Kant, for example) assume that morality requires a dispassionate, abstract rationality that suppresses the emotions. But in the Aristotelian tradition that includes Smith and Darwin, morality rests in a complex interaction of reason and emotion. I saw this many years ago when I wrote my book on Aristotle's Rhetoric. I noticed that most scholars interested in Aristotle's moral and political philosophy ignored or disparaged Aristotle's Rhetoric, because it gave so much weight to persuading people through their emotions. But for me, this pointed to a fundamental insight running through all of Aristotle's moral and political writings--that "reason by itself moves nothing," and that reason moves us only insofar as it elicits some emotional motivation. This is particularly true in politics, because political debate always turns on emotional appeals. Adam Smith developed this same insight in his Theory of Moral Sentiments. Darwin deepened this tradition of thought by showing--in The Descent of Man--how the moral emotions could have arisen in the evolved human nature of the moral sense. Most recently, neuroscientists have uncovered the neural roots of the moral emotions in their complex interaction with cognitive reasoning. As I have argued in both Darwinian Natural Right and Darwinian Conservatism, this new research on the neurological basis of moral emotions and moral judgment confirms Aristotle's moral psychology. For example, Aristotle in the Rhetoric analyzes the rhetorical psychology of anger. He defines anger as a desire for vengeance for an undeserved slight. Starting with this definition, he can then explain the various ways that anger is aroused or calmed. One way to calm people's anger is to apologize and ask for their forgiveness, because this removes the feeling of being slighted. When medical patients think they have been harmed by medical mistakes, they become angry if they think the doctors are being dishonest in covering up their mistakes, because this insults the patients. If the doctors honestly admit their mistakes and ask for forgiveness, this act of humble confession of fallibility can calm the anger of the patients. There is another lesson here. We often assume a conflict between morality and expediency, so that one's self-interest conflicts with one's moral duties. The Kantian tradition of moral philosophy makes that assumption about true morality as absolute selflessness. But the Aristotelian-Smithian-Darwinian tradition would question this assumption by suggesting that in the long run morality and expediency coincide. And so, in this case of medical malpractice, honesty really is the best policy, because honesty and forgiveness can calm the moral indignation of patients in ways that reduce the economic costs of malpractice lawsuits. I can testify to this in a personal way, because in learning about how Dr. Das Gupta handled his surgical mistake two years ago, my wife and I found that we gained more respect for our doctor, with the knowledge that he was willing to honestly recognize his fallibility and ask for forgiveness. Actually, I don't think Steven Pinker is stupid. I admire his writings, which I often use in my teaching and research. But his article in the new issue of The New Republic (May 28, 2008), entitled "The Stupidity of Dignity," which can be found here, is remarkable for its shallowness. This spring, the President's Council on Bioethics issued a 555-page report on the idea of "human dignity" in bioethics. Pinker's article is supposedly a response to this report. But anyone reading his article along with the report would suspect that he has not actually read the report. In his determination to attack Leon Kass and the neoconservative opponents of biotechnology, Pinker has skimmed over the report to support his intemperate scorn. Here's an example. Pinker writes that in the report, many of the authors "assert that the Old Testament is the only grounds for morality (for example, the article by Kass claims that respect for human life is rooted in Genesis 9:6, in which God instructs the survivors of his Flood in the code of vendetta: 'Whoso sheddeth man's blood, by man shall his blood be shed, for in the image of God was man made.')" Now, if one actually reads Kass's contribution to this report, which can be found here, one sees the following passage that Pinker is citing: "Human life is to be respected more than animal life--Why?--because man is more than an animal; man is said to be god-like. Please note that the truth of the Bible's assertion does not rest on biblical authority." Notice that Pinker ignores Kass's disclaimer that the truth of this assertion does not depend on biblical authority alone--in contrast to Pinker's claim that the authors of the report are asserting "that the Old Testament is the only grounds of morality." There is a serious point here. In Kass's book on Genesis, and in some of his other writings, Kass does sometimes suggest that the Bible might provide a moral teaching that goes beyond secular reasoning. But Kass is rather evasive about this. And Pinker has no interest in probing into the complexity of Kass's writing. All that Pinker cares about is condemning Kass as a conspirator in promoting theocracy in America. In some of my blog posts on Kass--which can be found here, here, here, and here--I have criticized Kass on many points. But I have also indicated that my defense of "Darwinian natural right" agrees with Kass's early writings in which he sought a Darwinian basis for a naturalistic ethics, following in the tradition of Hans Jonas. Even in his latest contribution to the PCB report, Kass writes that the natural ground of human dignity is to be found in the human "powers of reason, freedom, judgment, and moral concern." But he does not indicate to the reader--as he did in his earlier writings--that Darwinian biology would agree with this, and that Jonas saw Darwinian biology as showing the natural biological roots of these distinctively human powers. In recent years, Kass has moved away from this biological naturalism--grounded in the tradition of Aristotle, Jonas, and Darwin--while moving towards a purely religious morality rooted in the Bible. But he never explicitly explains the change in his position. Pinker rightly sees this reliance on Biblical religion. But Pinker does not help us to understand what exactly is going on in Kass's intellectual development. By the way, I agree with Pinker about the silliness of Kass's disgust with licking ice-cream cones. In his book The Hungry Soul, Kass has a chapter on "civilized eating," in which he condemns "those more uncivilized forms of eating, like licking an ice-cream cone--a catlike activity that has been made acceptable in informal America but that still offends those who know why eating in public is offensive," and he goes on to describe the "doglike feeding" of those who eat in public (pp. 148-49). Well, I personally prefer to eat my ice cream (preferably Baskin-Robbins' mint chocolate chip) in a bowl in the privacy of my home. But I will defend to the death the right of every American to lick an ice-cream cone in public! I believe that the Aristotelian and Thomistic tradition of ethical naturalism is rooted in a biological understanding of human nature that is confirmed by modern Darwinian science. I have elaborated my reasoning for this conclusion in Darwnian Natural Right, Darwinian Conservatism, and "Thomistic Natural Law as Darwinian Natural Right" (published in Natural Law and Modern Moral Philosophy, edited by E. F. Paul, F. D. Miller, and J. Paul, Cambridge University Press, 2001). Alasdair MacIntyre has recently taken a similar position despite his earlier disagreement. In his remarkably influential book After Virtue (1981), MacIntyre tried to defend an Aristotelian and Thomistic view of ethics as founded on the moral and intellectual virtues, but he wanted his ethical view to be independent of Aristotle's "metaphysical biology" (56, 139, 152, 166-67, 183, 220). Almost twenty years later, however, in Dependent Rational Animals, he conceded that "I was in error in supposing an ethics independent of biology to be possible" (x). He generously cited my work as helping to persuade him that the Aristotelian and Thomistic understanding of the animal nature of human thought and action is confirmed by modern Darwinian biology (5-6, 11-12). And yet in a recent article in Metaphilosophy (vol. 39, no. 2, April 2008)--"Sorts of Naturalism: Requirements for a Successful Theory"--Christopher Toner criticizes my Darwinian naturalism as a foundation for virtue ethics and argues that MacIntyre's approach is superior, because it recognizes how our "first nature" of natural desires needs the moral development that comes through the "second nature" of practical reasoning and cultural learning. In reply to Toner, I would point out that what he attributes to MacIntyre is fully compatible with my position. "1. Natural norms must be intrinsically able to motivate the bearer of the nature. "2. Natural norms must be intrinsically able to justify themselves to the bearer of the nature. "3. Natural norms must be anchored in and express universal human nature. "4. First and second nature must be related so that the second is a natural outgrowth of the first, and so that that in our given makeup, it is (first) natural which does tend toward an ethically mature second nature." Toner argues that while McDowell tends to sharply separate our second nature from our first nature, which suggests cultural relativism, MacIntyre is more successful in his moral naturalism because he sees our second nature as a natural outgrowth of our first nature. According to Toner, MacIntyre's approach "steers clear of the trouble invited by Arnhart's reliance on brutely given natural desires. In their place it puts, as natural norms, the requirements of the virtues that are integral to human flourishing, where the virtues are seen as acquired traits that fit human beings for the exercise of practical rationality toward which their shared nature directs them" (243). But in thus trying to separate MacIntyre's position from mine, Toner distorts both positions. He fails to see that MacIntyre's view of our second nature as the natural outgrowth of our first nature depends on the claim that our uniquely human capacities for reason, language, and culture are actually extensions of capacities found in some form in other animals, so that our second nature is rooted in our biological first nature as a product of Darwinian evolution (see Dependent Rational Animals, 53-64). The crucial point here is that the opposition to Darwinian natural right rests on a series of antithetical dichotomies posed by Thomas Hobbes and Immanuel Kant: biology versus culture, nature versus nurture, instinct versus learning, emotion versus reason, and facts versus values. Underlying all of these is the fundamental dichotomy between animality and humanity. Human beings, Hobbes and Kant argue, transcend their animal nature by using their unique rationality to construct a cultural world of moral values based on social learning; this world suppresses the biological emotions that would otherwise render human life solitary, poor, nasty, brutish, and short. I reject all of these dichotomies. I acknowledge the uniqueness of human beings as rational moral agents, but I believe that even in their uniqueness, human beings are fully integrated within the natural world. Given this, I see the moral nature of human beings as rooted in their animal nature. In its account of that animal nature of morality, Darwinian biological reasoning supports the tradition of ethical naturalism begun by Aristotle and continued by Aquinas and MacIntyre. The Bible teaches us that human beings were created by God in His image, and thus God set them above all of His other creatures. Intelligent design theory teaches us that human beings were designed by an Intelligent Designer. For many conservatives, such explanations of human origins are better than a Darwinian account of the human species as having evolved from ancestral animal species by material causes, because the Darwinian view seems to promote a reductionistic materialism that is morally degrading. My response to this worry is to insist that a Darwinian conservatism can recognize the special capacities of the human soul as manifesting the emergent complexity of life, in which higher levels of organization produce mental abilities that cannot be found at lower levels. In contrast to the reductionism often associated with modern science, Darwinian conservatism affirms the idea of emergence. I have elaborated my reasoning on this point in my chapter on emergence in Darwinian Conservatism. Those looking for evidence of Darwinian reductionism can easily find it in the writings of Edward O. Wilson. In Consilience: The Unity of Knowledge (1998), Wilson argues for unifying all knowledge--the natural sciences, the social sciences, and the humanities--by reduction to physics: "all tangible phenomena, from the birth of stars to the workings of social institutions, are based on material processes that are ultimately reducible, however long and tortuous the sequences, to the laws of physics" (266). In his book Life is a Miracle (2000), Wendell Berry--a poet, novelist, and conservationist writer--challenges Wilson's reductionism by asserting that "life is a miracle," because of the mystery that comes from the unfathomable individuality of each living creature. But what I find most interesting about Berry's argument is how he counters Wilson's reductionism by appealing to the emergent complexity of biological phenomena. Against reductionism, some people argue for a dualist view that the soul or spirit of a human being is not physical, and so it cannot be explained by a reductionist physical science. But Berry rejects dualism, because he thinks the true mystery of life is the inextricable unity of mind and body. Berry sees in Wilson a reductionistic formula for explaining mind: "mind = brain = machine." But as Berry indicates this makes no biological sense. "Is there such a thing as a mind which is merely a brain which is a machine? Would one have a mind if one had no body, or no body except for a brain (whether or not it is a machine)--if one had no sense organs, no hands, no ability to move or speak, no sensory pains or pleasures, no appetites, no bodily needs? If we grant (for the sake of argument) that such may be theoretically possible, we must conclude at the same time that it is not imaginable, and for the most literal of reasons: Such a mind could contain no image" (47). Berry adds: "one can't be a brain without a body, or a body (for very long) without a familiar homeland. To have one mind you have got to have at least two (and undoubtedly many more) and a world. We could call this the Adam and Eve theory of the mind. The correct formula, in fact, is more like this: mind = brain + body + world + local dwelling place + community + history. 'History' here would mean not just documented events but the whole heritage of culture, language, memory, tools, and skills. Mind in this definition has become hard to locate in an organ, organism, or place. It has become an immaterial presence or possibility that is capable of being embodied and placed" (48-49). What Berry misses, however, is how Wilson contradicts his own reductionism in recognizing the same emergent complexity of life and mind that Berry emphasizes. This contradiction runs throughout Wilson's Consilience. On the one hand, he insists on reduction of everything to the laws of physics. On the other hand, he insists that emergent phenomena at higher levels of organization cannot be predicted by the laws of physics. "Biology is almost unimaginably more complex than physics," Wilson writes, "and the arts equivalently more complex than biology" (67). "It is not even possible to predict the three-dimensional structure of a protein from a complete knowledge of its constituent atoms" (83). Biologists suffer from "physics envy," which is frustrating, because "they invariably encounter emergence, the appearance of complex phenomena not predictable from the basic elements and processes alone" (86). Although constrained by genes, culture has acquired a "life of its own," Wilson observes, so that we cannot understand human life without understanding both genetic evolution and cultural evolution. Consequently, we must reject the genetic determinism that would assume that genes dictate the specific forms of culture (163, 166). Moreover, in his intellectual biography--Naturalist (1994)--Wilson describes his long battle in the Biology Department at Harvard against the reductionism of James Watson. Watson argued that modern biology could be a true science only insofar as it could be reduced to molecular biology. Those areas of biology that did not lend themselves to such reductionism--such as ecology, evolutionary biology, and animal behavior--were to be rejected as not truly scientific. Wilson--who studied insects--was dismissed by Watson as a "bug collector." But eventually, Wilson and his allies were able to win some respect from their colleagues in molecular biology. Now, Wilson observes, "only hard-shelled fundamentalists among them think that higher levels of biological organization, populations to ecosystems, can be explained by molecular biology" (231). So although Wilson sometimes endorses the idea of unifying all knowledge through strong reductionism, he also sees that such unification might be achieved only through the idea of emergent complexity, by which higher levels of organization are constrained by, but not fully determined by, lower levels. The human mind and human culture belong at the highest levels of complexity that cannot be completely reduced to physics and chemistry. In this recognition of emergent complexity, Wilson and Berry agree. 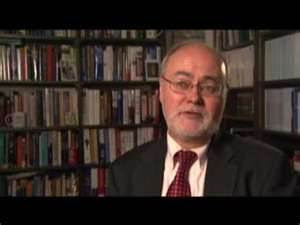 Why Was Michael Behe Expelled by Ben Stein? Ever since the publication in 1996 of his book Darwin's Black Box, Michael Behe has been the most prominent biologist supporting "intelligent design theory." It is not surprising, therefore, that he was interviewed by Ben Stein for his movie Expelled, as indicated at the website for the movie. But it is surprising that this interview was cut out of the movie before its public release. Or maybe this isn't so surprising if one considers how Behe's new book--The Edge of Evolution--subverts some of the crucial points in the Discovery Institute's rhetorical strategy, which would explain why Behe has fallen from favor with the folks at the Discovery Institute. Was Behe expelled from Stein's movie for saying that "it's hard to imagine how there could be stronger evidence for common ancestry of chimps and humans" (p. 72)? Was he expelled for suggesting that the evolution of orders, families, genera, and species could be explained in a Darwinian manner through random mutation and natural selection (pp. 217-20)? Was he expelled for saying that "treating the Bible as some sort of science textbook" would be "silly" (p. 166), and that in science there should be "no relying on holy books or prophetic dreams" (p. 233)? Was he expelled for saying that "the purposeful design of life to any degree is easily compatible with the idea that, after its initiation, the universe unfolded exclusively by the intended playing out of natural laws" (p. 232), which would support theistic evolution? Was he expelled for saying that "an intelligent designer deliberately made malaria" to kill millions of innocent children, and therefore we should consider the possibility that "the designer isn't all that beneficent or omnipotent" (pp. 237, 239)? Of course, Behe still supports "intelligent design" reasoning. But he is enough of an independent thinker in his assessment of the scientific evidence and arguments that he can move away from the prescribed doctrines of the Discovery Institute. Was that independence of thought the reason he was expelled from Stein's movie? Has Michael Behe Fallen From Favor at the Discovery Institute? As I noted in my first post on Ben Stein's movie Expelled, the absence of Michael Behe was remarkable. After all, Stein interviewed most of the "senior fellows" at the Discovery Institute's Center for Science and Culture. So why didn't he interview the most famous one and the one who has been the leading scientist for "intelligent design"? It is now almost a year since the publication of Behe's new book The Edge of Evolution. The Discovery Institute funded the writing of that book, and it heavily promoted the book when it first appeared. But now if you go to the website for the Center for Science and Culture, there are few references to Behe's new book. The lists for "Essential Readings" and "Books by Center Fellows" include Behe's Darwin's Black Box, published in 1996, but not his new book. Ever since the end of November, the blog for the CSC has given almost no attention to Behe's new book. I now suspect that my early predictions last year have come true--the folks at the Discovery Institute now realize that Behe's new book subverts their rhetorical strategy, and that it was a big mistake for them to promote it. In my first posts on the book, I noted at least four points on which Behe's position might be disturbing for the proponents of "intelligent design." (1) Behe accepts the Darwinian evolution of species by common descent, including the evolution of the human species from ancestral species shared with chimpanzees. (2) Behe rejects any attempt to treat the Bible as a "science textbook" as "silly," and he insists there should be "no relying on holy books or prophetic dreams." (3) Behe argues that "intelligent design" is not required to explain the emergence of the lower taxonomic levels of life--orders, families, genera, and species; and so the evolution of species could be fully Darwinian. (4) Behe endorses a version of theistic evolution, because he says that after the "initial set-up" by the intelligent designer, "the universe operates by unbroken natural law," with no need for miraculous intervention in nature. Behe's Edge of Evolution is a serious intellectual retreat from the strong versions of intelligent design creationism, because he concedes so much to Darwinian evolution on so many crucial points. I suspect that for this reason, he has fallen out of favor at the Discovery Institute because he no longer serves their rhetorical purposes. I should say that ever since I first read Darwin's Black Box, I have thought that Behe is a serious thinker. Even though I don't always agree with him, his reasoning is always worth confronting. He has an intellectual depth that none of the other proponents of intelligent design have. Some of my posts on his new book can be found here, here, and here. Proponents of "intelligent design" at the Discovery Institute and elsewhere have charged that Darwinian biology is immoral because of its association with eugenics. This is part of the rhetoric of Ben Stein's movie Expelled. The crude propaganda of the "intelligent design" proponents (like John West and those in Ben Stein's movie) assumes that eugenics is purely evil because of its abuse by the Nazis in their attack on the Jews. But this ignores the benefits of eugenics for Jews. Most American Jews are Askenazim. The Askenazi Jews come from Eastern Europe, and because they were a small breeding population in the Middle Ages, many deleterious genes were propagated in the population. For example, about one in 25 Ashkenazi Jews is a carrier of Tay-Sachs disease, which causes the progressive degeneration of the central nervous system in infants, who usually die by the age of 4. It is a horrible disease, and parents would surely want to minimize their chances of producing children with such a disease. To deal with this problem, there are now many Jewish organizations in the United States that provide genetic screening programs so that Jews can determine the likelihood of their being carriers of such diseases, and then they can try to avoid mating with other carriers. As a result of this, the rate of Tay-Sachs and other diseases among Jews has declined dramatically. This is what I call "good eugenics." Participation in these counseling and screening programs is voluntary. It is not forced on anyone. But it's available for people who want to make good decisions about reproduction and the prospects for their children. It's eugenics, because it is designed to improve the genetic health of offspring. What's wrong with this? Isn't it good for Jews to be able to participate in such eugenic programs? Doesn't this show how genetics and Darwinian science can improve human life? Rather than denouncing eugenics as evil, wouldn't it be better to distinguish good eugenics from bad eugenics? Why don't the proponents of "intelligent design" do this? Is it because they are advancing a rhetorical strategy that does not favor intelligent thought about the issues? For more information about genetic testing and family-planning decisions among American Jews, you can go to the website for the Victor Center for Jewish Genetic Diseases at the Albert Einstein Medical Center in Philadelphia.